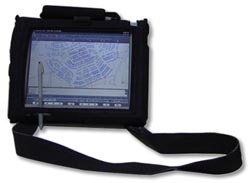 Pen Tablet Computer Based GIS Data Collection with Laser Rangefinders. according to more or less standard procedures. and draws a line on paper, labeling the distance in pencil. Two workers are required to do the job. computer, essentially duplicating work already done. only time consuming, but full of potential problems. as can creases in the paper. of handwritten numbers often results in unreadable text. wasted trying to decipher what the field worker wrote? Data collection has to be repeated in the office. however the data is stored. Once again, mistakes are inevitably common. difficulties can be totally eliminated. There are two elements to our approach. and is operated by a single person. manipulation of the data, to allow more accurate results. 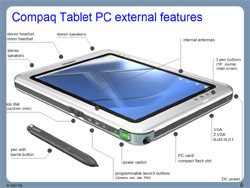 The second element is pen tablet computer based applications. This has several obvious advantages. in their true geographic orientation. will close, or not close. they can find the problem and correct it in the field. a return trip to the field. directly into the drawing file as a ‘block’. and taking the entire GIS file into the field. There is no need for office editing. No illegible handwriting to decipher. applications other than property surveys. Data collection of traffic signs on paper is enormously difficult owing to the dense crowding of information. A typical intersection may have 100 signs, including signs on poles and signs painted on curbs and in the street. Transcribing this sort of data in the office from paper sketches is guaranteed to result in very poor results. telecommunications, lighting, and many more. 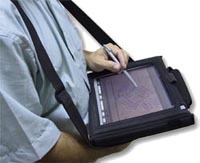 of the shortcomings of paper based field procedures. incorporated in a GIS program. It eliminates most of the sources of errors in data collection. to correct mistakes not detected the first time around. It eliminates redundant office work. 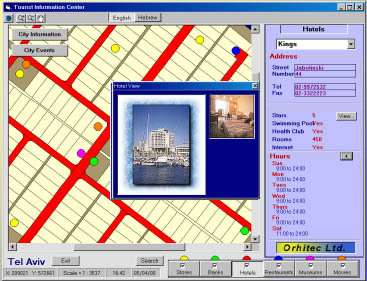 between alphanumeric (database) information and geographic information (computer graphic map file). in the field, they are added to the GIS application. fees, fees for traffic signs, etc. 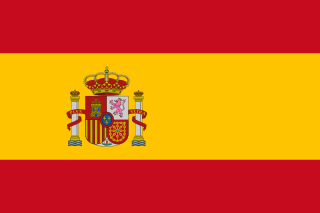 Planning, management, and maintenance of public infrastructures. 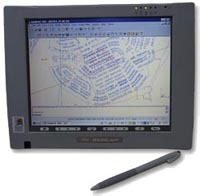 Building permits including building violations and landaus violations. property such as park benches, transportation, etc. planning, both short term and long term, maintenance. and requirements of each municipality. so that any user, without computer experience, can benefit from the GIS applications. The public can access the GIS information either at the municipal offices, or online from the Internet. Delay in planning and implementation of municipal decisions. costs of many projects and processes. *Increase in maintenance costs for municipal infrastructures. manpower and time required to complete operations. to install systems, in accordance with local statutory requirements, customer support, training of personnel, and financing. Orhitec LTD will be happy to supply a detailed project proposal for each subject described above. And In Every Single Step. 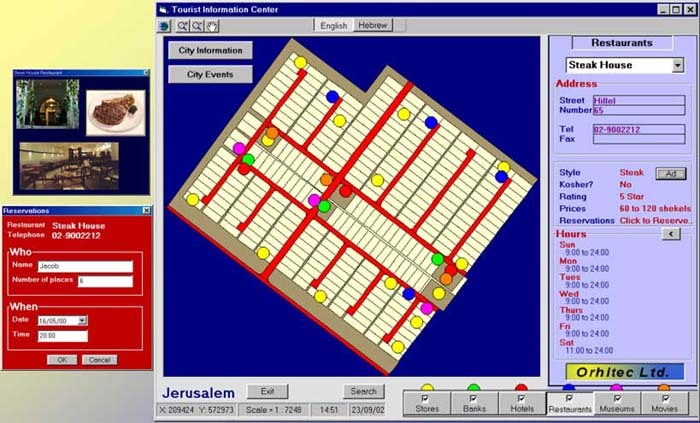 base for GIS (Geographic Information System) applications. (negative or diapositive) to provide digital files. mosaicing if necessary. Products are supplied to the client on CD in TIFF format. Our GIS applications and methodology are based on photogrammetric mapping and orthophotos. and lighting, for use in the GIS. Land Registration - Creating a central digital information resource, including data archives.